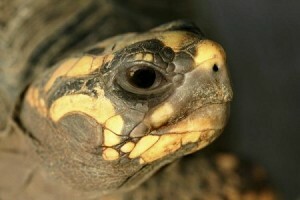 Termite Control Chandler has uncovered a brief post on a tortoise that was missing for thirty years. While that may not seem like termite related news, the part that is striking is how the tortoise survived for so long. After cleaning out a storage area of the home where their grandfather had collected old computers and other odds and ends, the family placed boxes for waste pick up. Inside one of the boxes was the long missing family pet. A Vet has speculated that the tortoise must have survived by eating termites and licking up the condensed moisture in the storage space. Tortoises can go for several years without eating and still survive, the reports say, but not thirty years. Tortoises normally eat vegetation. They are not carnivores or omnivores. Termites, however, do eat vegetation and they are canny farmers, feeding on the fungus that grows from their waste piles inside their underground homes. Perhaps the termites tasted or smelled like the vegetation the tortoise is used to eating. 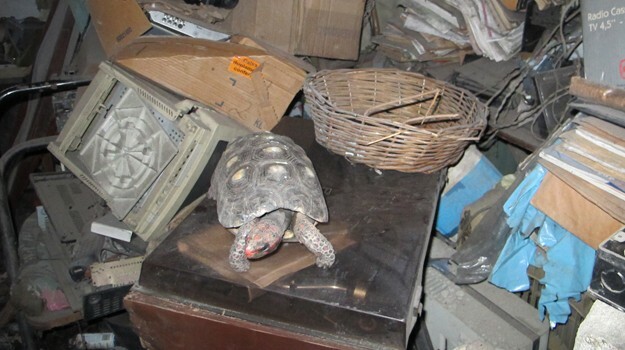 Manuela, a red-footed tortoise, had been living in a storeroom in the Almedia family’s home, which was filled with old computers and junk horded by their late grandfather and simultaneously creating a great story for newspaper editors around the world faced with a slow news day. A vet in Rio De Janeiro speculated that the tough tortoise may have survived by adapting to munching termites from the wooden floor, although their regular diet is vegetation and fruit. The red-footed tortoise is capable of surviving several years without food. Termite Control Gilbert offers a variety of treatments and services, should you encounter termites in your home. Tortoises are not a recommended method of protection against termite infestations. Arizona homeowners should have a termite inspection every year. One way to remember is to plan the termite inspections around an event such as spring cleaning or your annual physical. Some people remember by planning around a holiday. If it has been a while since your last termite inspection you may qualify for a free termite inspection from Termite Control Chandler. Hopefully you won’t turn up any missing pets when you do your spring cleaning this year, but if you do, please remember they had to have been eating something. It may be time for a visit from your local pest management professional.